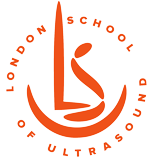 London School of Ultrasound is the trading name of Ultrasound Network Ltd, Registered in England and Wales under number: 7204693. Registered office: 2nd Floor, 13 John Prince’s Street, London, W1G 0JR, United Kingdom. London School of Ultrasound is committed to protecting your privacy. The following statement tells you how we collect, store and manage personal information online to comply with the requirements of the Data Protection Act 1998. When you place an order, we collect certain personal and transactional information (e.g. name, address, email address). To fulfil our obligations to you under these Terms and Conditions we communicate with you by e-mail and by posting notices on the Website. You agree to receive communications from us electronically and that this electronic communication will satisfy any legal requirement for communications in writing. The LSUS adheres to UK Data Protection legislation that governs the collection and management of personal information, including images. If you have any concerns about personal details or images on this site, please contact contact@lsus.co.uk. How does London School of Ultrasound collect information? We ask you to register in order to access some sections of the website and carry out certain transactions through the site. For non-members we ask for your name and email address in order to confirm successful registration to our events. We do not collect any information through cookies or similar technologies. How does London School of Ultrasound use this information? We use your personal information to provide the information, services and products you have requested as well as for administrative purposes. Sometimes we may want to share your information with carefully selected third parties. When we collect your information, we will ask you if you want us to do this or not. Whatever you decide, you can change your mind at any time by contacting us at the address above. We post testimonials and post-event feedback on our social media channels that may contain personal information. Prior to posting it, we will obtain your consent to use your name and/or testimonial, your pictures or other post-event feedback. If you wish to update or delete your testimonial or image, please send us an email with your request at contact@lsus.co.uk, and be sure to include your name and contact information. How does London School of Ultrasound protect personal information? We use a secure server when you enter into a money transaction from our website. We also encrypt your credit card number at the time when you place your order and do not store your payment details on our database. We take appropriate measures to ensure that the information you give us is kept secure, accurate and up to date. We will only keep it for as long as is necessary for the purpose for which it is used. If you choose to unsubscribe from our mailing list, your email address will be stored within a suppression list indefinitely. This international website is owned and operated by London School of Ultrasound (the trading name of Ultrasound Network Ltd). By email, using the email address (contact@lsus.co.uk), also published on our website.